Liz Burrows - Palmerston North. 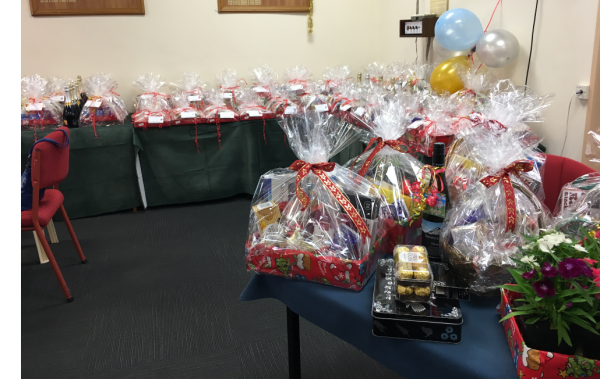 "For well over 30 years the Palmerston North Bridge Club has run a highly successful Christmas bridge tournament at the beginning of December. For almost all of that time Liz Burrows has carried out the huge task of purchasing and wrapping the many prizes that are given out. As there is always a large field playing in this event, at least 35 plus tables, the prizes are awarded to the first 22 places. I have calculated that Liz wrapped near to 60 prizes for the 2018 event and they were all beautifully presented with cellophane, and ribbon. It must take her hours and hours to complete and then to set them up at the club. One of the main reasons why this tournament is so popular is because there is this wonderful festive atmosphere created in no small part by the tables of wrapped presents and the fact that so many players are rewarded with a place prize or one of the many spot prizes. Liz' work in buying and wrapping these prizes for so many years is taken for granted by those of us who enjoy playing in the tournament. Her dedication to ensuring the success of a bridge event such as this fits very well into her being recognised as a volunteer of the month." amazing, a dedicated woman who leads by example. We appreciate you, Liz. Thank you for all you do for our club." 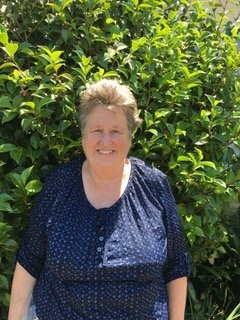 New Zealand Bridge is delighted to have Liz Burrows as our Volunteer of the Month for April 2019.